Central Greece. Mountain and coast, relaxation and adventure all richly wrapped with a freshness that only nature can provide. In the heartland of a great country lies one of its best kept secrets. A holiday destination most definitely deserving of attention, Central Greece is quite simply overflowing with the essence of life in all its various forms and all harmonizing perfectly with each other. Be our guest in Meni Apartments and you will discover history and myth sit side by side with unsullied nature, great mountains, inviting you to imbibe on their fresh air and accept their many challenges. 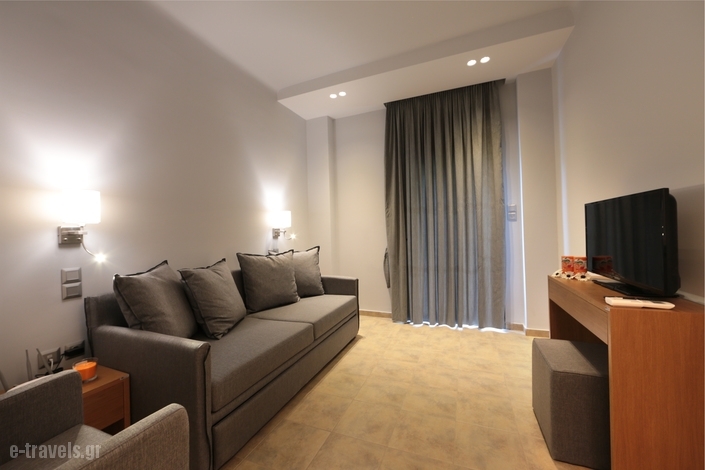 Meni Apartments is located at Psarron 8, Athens 10437, Greece, offering an extraordinary accommodation experience and the chance for a thorough battery recharge. In Meni Apartments you will immediately discover your own point of equilibrium and sense of genuine balance. You would expect nothing less from a unique accommodation experience in which you can literally breathe in the stuff of life, drink its potent elixir and in a matter of moments feel its reinvigorating energy coursing through body and soul.